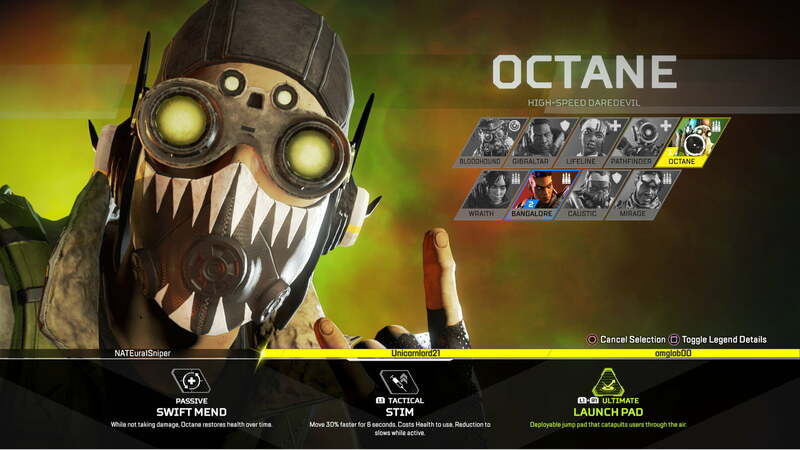 Apex Legends‘ first post-launch Legend, Octane, arrived alongside the Wild Frontier Battle Pass on March 19. Rampant rumors and leaks marked the lead-up to the Octane’s entrance into Kings Canyon, including the curious case of the launch pads appearing in the Market area of the map. To drop in as Octane you’ll need to spend either 12,000 Legend coins (in-game currency) or 750 Apex Coins ($7.50) to unlock him. He’s an interesting Legend with an even more interesting backstory. 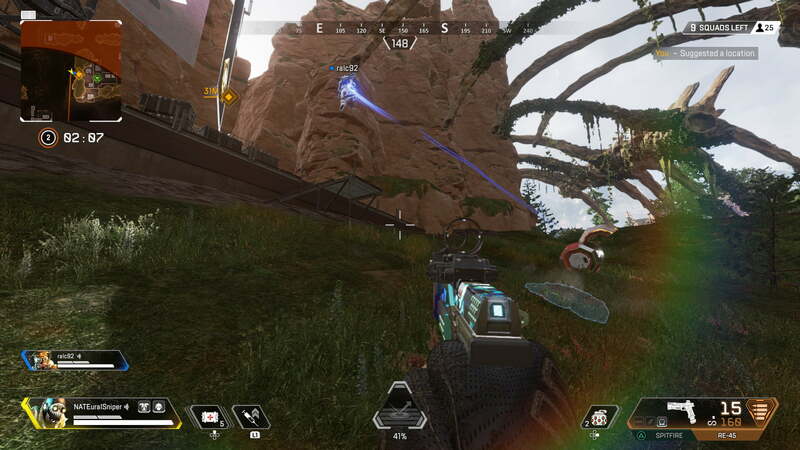 One of those stunts was fragboosting through the Gauntlet seen in Titanfall 2. In fact, it appears Respawn was inspired by the current world record holder in the Gauntlet, as Octane also tossed grenades and used them to run and jump faster. Unfortunately, he miscalculated the finish and ruined his legs. Luckily for him, though, his pal Lifeline helped him with a forgery order for bionic legs. The high tech legs gave him unique healing abilities and also allowed him to run faster. Knowing he could succeed, the 24-year-old decided to try his luck at the Apex Games. Octane has one of the best passive abilities of the bunch. Swift Mend lets Octane gradually regenerate health, as long as he isn’t taking damage. It’s a bit of a slow drip, though, as you only restore one health point every other second. The other perk of Swift Mend is that it saves inventory space since you don’t need to carry as many health items. Plus you can let your non-health regenerating teammates have more. Octane's Stim allows him sprint at high-speed, great for pushing an enemy or disengaging from a fight. Octane’s tactical ability is a perfect encapsulation of how much he is willing to risk to go fast. Activating Stim increases your movement speed by 30 percent for six seconds. That may not sound like a lot, but you can catch up to fleeing players in a hurry or flee yourself. Using Stim costs 10 percent of your health, so it’s best only to use it when you’re shielded and not close to death. Octane’s ultimate ability deploys a launch pad that you and your teammates can use to launch into the air. It doesn’t send you as high as the red balloon ziplines, but you can vault onto and clear relatively tall buildings. The problem with Octane’s ultimate is that it isn’t super practical. Wraith’s portals are more versatile and useful, and even Pathfinders zipline lets you travel with more direction and less conspicuously. It is fun to use, though, and Octane is all about stunts. Octane’s speed-focused abilities make him an ideal legend for those who prefer to do their damage up close. His tactical ability is incredibly useful inside structures and building complexes. Let’s face it. It’s quite hard to get the upper hand on someone when they move faster than you. Octane’s tactical ability accomplishes just that, letting you catch opponents off guard. The 10 percent sacrifice is worth it, considering after you kill your mark, you’ll start regenerating health anyway. Speed kills, after all. This means that Octane can be an absolute machine with weapons such as shotguns, SMGs, automatic rifles, and even sidearms. Any weapon that is most effective at close to mid range is ideal for Octane’s skill set. Octane’s movement speed via tactical ability and his health regeneration make him a great option for healing, too. 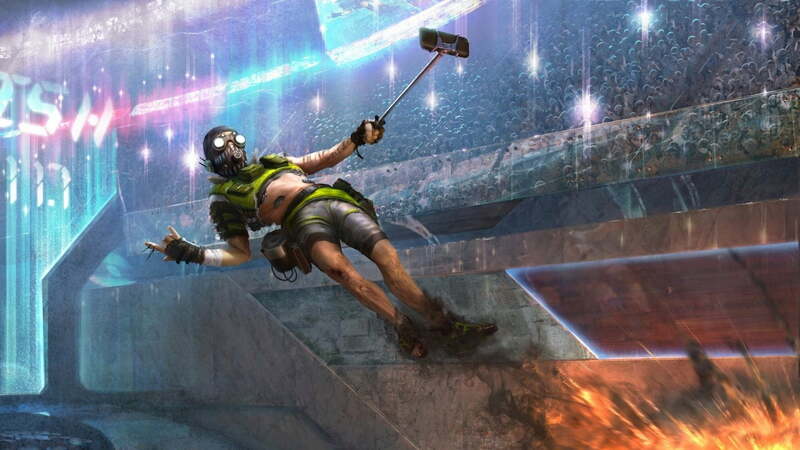 No, he’s not a substitute for Lifeline, but he offers an interesting skill set for your squad. As for his Ultimate, you and your team can use it to sneak up an unsuspecting squad through the air, but Octane’s best ability is Stim. It lets you gain a unique edge when used effectively. Octane makes an excellent offensive support character as well; teammates can utilized his launch pad to push an enemy . 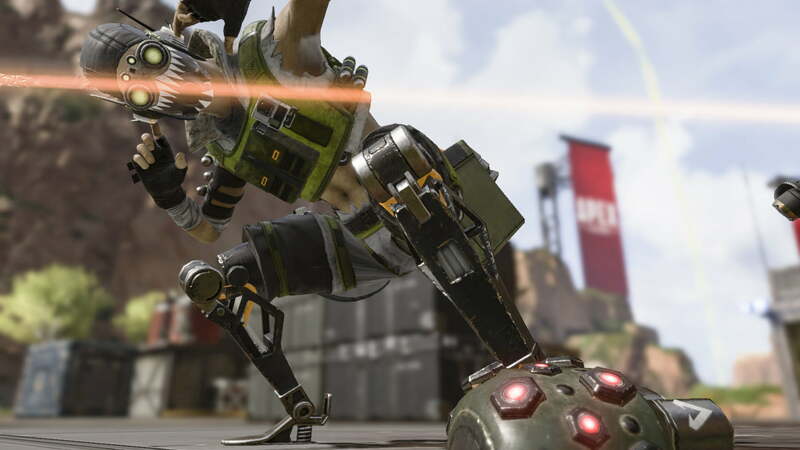 Check out our Apex Legends hub for other guides, news, tips and tricks, and more.